This month we’ve been talking a lot about online courses. We’ve spoken with people who have created successful online courses and to those who have even created online course software. There’s a lot of material in the Smart Passive Income archive where we’ve talked with people who have launched and successfully profited from creating online courses too, including SPI 136: How to Build an Online Course that Sells with David Siteman Garland, and SPI 137: A Product Launch Sequence That Works—How to Create a 3-Part Video Series with Amy Porterfield. Online course creators spend a bunch of time building the courses, and so they feel that once it’s built, it’s done, hands off, ready to go, and optimized to make a profit. The problem is that you’re losing out if you don’t focus on what happens after people take the course. As people go through your course, you need to optimize to make sure that your customers take action and see the results from those actions, because that’s why you want them to take the course in the first place. When your course customers are getting the results you’ve set up, that will help drive the marketing for the next launch. It will help create positive testimonial opportunities, help prove that you’re more of an authority, and ultimately help make you more money down the road. Below you’ll find ten strategies you can use to inspire your customers to take action in your courses. You don’t have to use all of them but a lot of them have worked well for me. This is something I’ve learned through trial and error in my own experience as an online course creator (I’m in the process of creating one now! ), being a student of online courses, through extensive research, and by having conversations with other amazing course creators. I’ve taken dozens of online courses on a variety of different subjects, including speaking, building an online business, podcasting, and a bunch more. Through my experience as a student, I’ve noticed that there are some things that seem to work very well and some things that have room for improvement, both of which inspire me to learn things I can implement in my own courses. Let’s jump into the strategies . . . There needs to be a big incentive, something specific that I’m going for with a goal at the end. This is where a lot of struggles come with recurring membership site models where there’s no specific angle. For people who join those kinds of courses, even if the right content is there, since there is no specific end date or goal other than being in a community and receiving access to content, it’s more difficult to keep people motivated to engage with the content and for them to also feel like they’re getting results. This is why, on these types of models, there’s typically a significant drop-off that occurs after three to four months, which is unfortunate. I know a lot of people are always trying to improve that. One of the things you can do to improve the number of people who stay in a recurring membership site is to establish goals, as soon as the three-month mark hits with your first goal reached, you move onto the next goal. This fosters an excitement and anticipation for the next achievement down the line. This is exactly why the course that I’m currently putting together involves specific goals. The more specific and clear you are about the goals, the better. If, for instance, the specific goal has already been achieved by potential students, they can then easily decide, right then and there, if the course is right for them. Plus, it also makes it easy for us content creators to know what kind of content to put in our course. If we can define specific content for our courses that allow our students to reach specific, tangible goals, the better for everyone. Meghan does an amazing job with her course at the Academy of Culinary Nutrition. 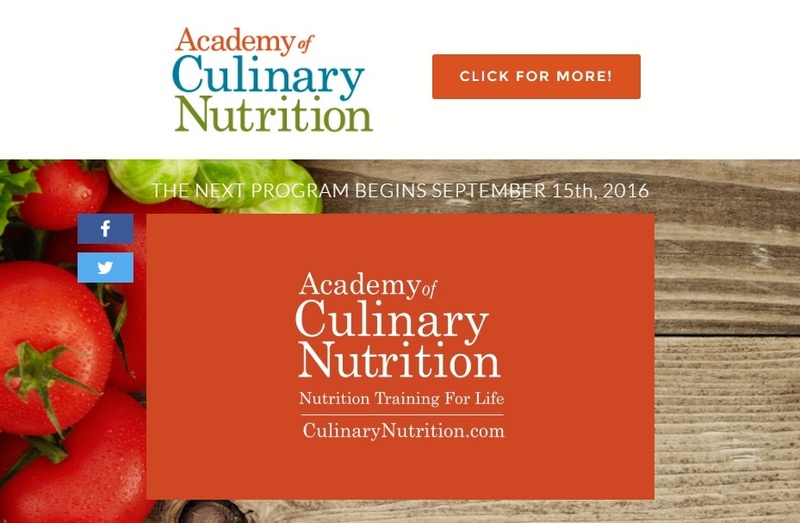 I have an interview coming up with Meghan Telpner, who is Director of the Academy of Culinary Nutrition. Meghan does an amazing job with her course. So much so that folks stay in it and complete it at a 97 percent rate with a whopping fourteen weeks of content! Pretty impressive, huh? But it makes sense that Meghan’s course is so successful, because she is very specific about what her students will achieve—in knowledge about food and nutrition from the course itself, with which they can use to better serve their own customers, and with the achievement in the end, which is a nifty certification that proves their rockstar status in culinary nutrition. I realize that increasing your course prices might seem like a weird strategy, but hear me out. We don’t do things just for the money. Profit is definitely an incentive for some people, but it’s not the only thing. Another benefit of increasing your price is that more people will have skin in the game. People are generally going to be more likely to follow through when they feel more invested. A higher value, higher priced course is more of a financial investment and, therefore, more incentive for course customers to stick around so their money doesn’t go to waste. Let’s say you had two courses. One course cost $19 and one course cost $1,900 (this feels like one of those math problems you see in school!). It’s much more likely that those who choose the $1,900 course are going to take action and do the work required because they’re not going to want that investment to amount to nothing. For the folks who choose the $19 course, you might see a larger percentage who won’t take any action at all because they aren’t invested as much, financially speaking. And then, to add a layer of complexity to the equation, there are those who feel that when they make a big purchase, like an online course, that it will have an immediate, massive impact, like a magic button you just need to press once. It obviously doesn’t work that way. There’s work required. They have to put in the effort to make it worthwhile, no matter what. I bring this up because, when you’re creating an online course, you have to understand that it may be more difficult to get those people to take the action you want, especially if they have signed up at the lower price. Lastly, as a creator, you need to know there’s a line between what you charge and how much value you’re providing, so striking that fine balance is key. You don’t want to underprice your course and consequently have a lower perceived value, because you might have a lot of people who don’t feel motivated or enthusiastic about pushing forward. A good example of how this relates in another part of my life happened back in 2009. My son was just born (time flies!) and I really wanted to focus on my fitness, so I bought the P90X at-home fitness program. I ended up purchasing it even though several of my friends offered me the disks for free. They had taken the same program, but I purchased it myself and spent a couple hundred dollars for the entire package knowing that I would be more focused on actually completing the ninety-day program if I had invested that money. And it worked! Within the lessons and the courses themselves, making it very clear what to do next is always a great thing. Some planning needs to be done so that one video or part of a course can lead to the next. It’s much like a good book. 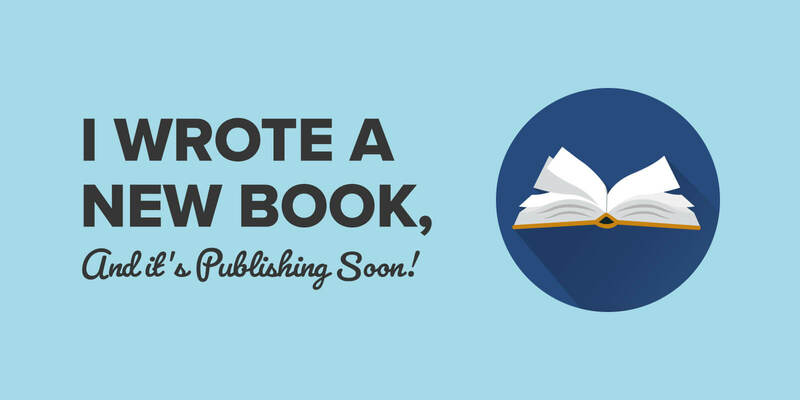 You want a book to entice readers to flip to the next page. How can you get your course participants to flip to the next page? It’s not necessarily about leaving cliff hangers like you’d find in a book, but more about placing an emphasis on what’s coming and defining how that’s going to be helpful and related to the end goal. Again, try to paint the picture of a specific end goal and tell your customers through whatever means, “This is coming next and this is how it’s going to get you closer to said goal.” By doing this, people are going to be more incentivized to actually push forward and not just say, “Okay, I finished today’s video, I’m done.” Instead, they may say, “Okay, I finished today’s video. Let’s move on to the next one because I’m excited to reach the goal!” So you’re creating some curiosity and momentum for them, giving them a reason to move onto the next lesson in your course. Related to focusing on the next thing, you can enhance that call-to-action and keep people moving through your course with the power of a simple email. There are a number of email-related strategies with courses that can help people finish or go through the course that you created. When people finish the end of a lesson, there are often ways to trigger emails that congratulate people on finishing. The email reinforces the fact that they did something right, and also sets the expectation that more positive emails are to come. You can also link to the next lesson in the same email, giving them a quick and easy way to keep going. Another idea is to provide tips in your emails. Even share ideas from students who have successfully completed the course, or tips specific to a particular lesson. Something like “this is what I got out of this” or “this is what to look out for.” There’s a lot of things you can do with email to help people know what their next thing is. It also provides a record in their email inbox so that they know, even if they can’t do the next lesson right away, that there’s a quick reminder and a link to go back and pick up where they left off. Many of the most successful courses that I’ve taken have been time-based. With a time-based approach, it’s almost like the course or lessons are holding the student’s hand throughout the process, month-to-month or week-to-week, reminding them that specific tasks are due at specific times. Because the course is time-based, people can set aside that time, knowing that that’s when they’re going to do the work. For some (me included), having that time set aside in advance is very helpful. Not all courses are meant to be fully time-based though. There’s the hybrid model where you have all the content available but you still walk people through in a week-to-week or time-based manner. For those students who want to get ahead, they still have access so you’re not leaving them out or hiding things that could be relevant for those who have gone ahead. 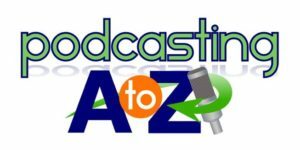 A good example of this is Cliff Ravenscraft’s (the Podcast Answer Man) Podcasting A to Z course, which includes a bunch of value in only four weeks (use coupon code SMART at checkout for $500 off!). In his course, people go through a specific process to create a podcast during those four weeks. Cliff’s success rate on this? A mind-boggling 100 percent! That is because people know what they’re getting into. He sets the expectations clearly. He’s very upfront about the time the course will take, and every day or week there’s a certain set of tasks to do and homework to complete with individual time goals. With these specific time-based objectives, he’s able to guide his students through the course incrementally and continuously. Another thing I learned about Megan Telpner’s Academy of Culinary Nutrition is that if you don’t finish the course, you don’t get a certificate and the proof of having completed the course, which is something that can be useful for resumes and help kickstart a promising culinary career. So the consequence is less about taking something away or punishing people, and more about giving your customers access to a special reward if they complete the course. You want to create an eagerness and desire to earn the reward at the end, and give your students a real sense of accomplishment. Another strategy is to create a sense of accountability. A smart way to do this is to hire coaches to help your customers walk through the course or to give them personal access to a coach who can be their one-on-one guide throughout the process. This way they are accountable, not only to themselves but also to someone who’s eager to see them succeed. You could also follow up with students via email on a more personal level, making sure that they go through the course the way they’re supposed to. Or you may want to create accountability partners within the course among the students, which is a great way to keep people going. It’s similar to when you have a gym partner. You’re more likely to go to the gym when you have someone with you whose goals are the same. Sweaty, but together! Accountability has been so important to me for many reasons. Not only in the mastermind groups and with the relationships I’ve made there, but also with my own personal accountability coach, Azul Terronez, who I hired to help me with Will It Fly? That was extremely helpful. 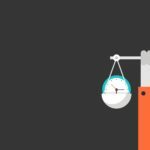 Azul helped me set deadlines, meet those deadlines, and plow through some of the challenges that I faced along the way. Having accountability built in to your course can be a great value add and a way to get people to take action when they may not want to. Fostering a sense of community among your students is so important. Whether it’s a built-in forum or a private Facebook group, having a community there for students to help each other out is going to really motivate people to keep moving forward, especially when you give them permission to share success stories along the way too. 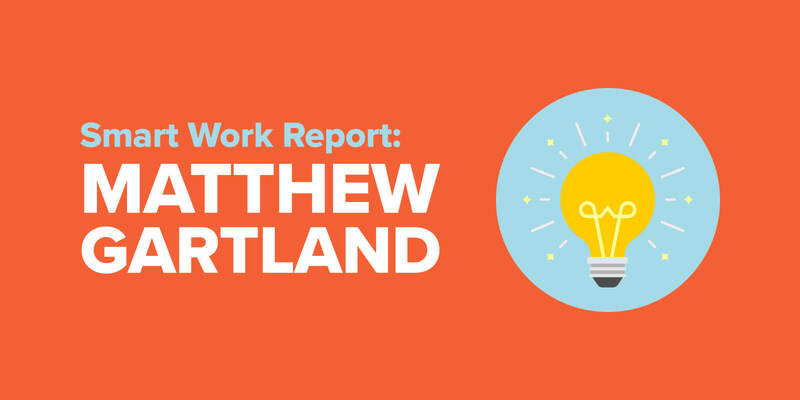 In David Siteman Garland’s course, Create Awesome Online Courses, he has a private Facebook group and the members all share their success stories with each other. Reading about successes is a great motivator, so it’s no surprise that people find great success with his course. One of the things that I enjoyed when I was in Internet Business Mastery back in 2008–2010 was the community, reading the success stories, having the platform to ask questions, and being able to share a sense of camaraderie with those who went through it with me. That was really helpful in keeping my focus, especially during the more challenging sections where I needed a bit of support from others. It’s common to feel the need to help those who are struggling where you once were. As a course creator, you should always ask for feedback so you can continue to tweak and improve upon your course. Ask for feedback and don’t be afraid to hear things that you might not want to hear because it’s valuable information, information that’s going to help you improve the experience for your students going forward. When people bail for whatever reason, when you see that they haven’t completed the courses or they come to you and ask for a refund, or they come to you and say, “I had this for months and I never took action. I was so busy.” When you hear that, you want to ask questions to find out what you could do better, whether you can convert them back to a customer or get them to take action or at least to use a learning experience for your future students. There are always, always ways to improve, and you won’t know this unless you ask those who are experiencing it. Once you do get that feedback, you should take action on it. Always tweak! That’s the one thing you have to realize when you launch these online courses. You don’t have to be perfect. You have to make sure that your course has the value you want to provide, and as you go along you can always keep tweaking. It starts with the experience that your customers are already having. So, those are my strategies for getting course customers to take action! How about you? Do you have any tips as a course creator? And, if you’ve taken an online course, what has motivated you to keep going? What aspects of those courses did you enjoy the most? I’m eager to hear about your experience with online courses as both a course customer and course creator! Thanks!